I was really looking forward to this part of our itinerary. We woke up at around 5:30AM since we had to ride the boat for dolphin watching at around 6 to 6:30AM. This was coordinated by Kuya Johnny with Dumaluan Resort. In short, Dumaluan took charge of our day. 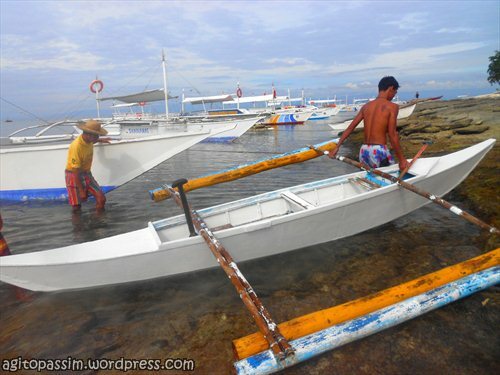 It was only then that we were informed that an additional fee of Php200/person had to be paid for the smaller boat that will be used on our Island hopping. Also, there will be additional fees for snorkeling paraphernalia but since we weren’t really into snorkeling, we didn’t pay for the paraphernalia just the boat. We set out into the waters early in the morning. 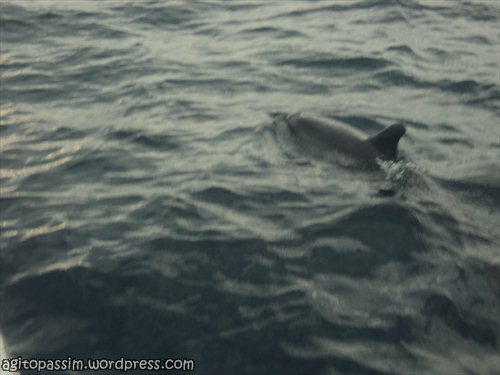 I was worried that we won’t be able to see dolphins coz that’s what I read in other blogs – that it took them hours before they got to see dolphins. 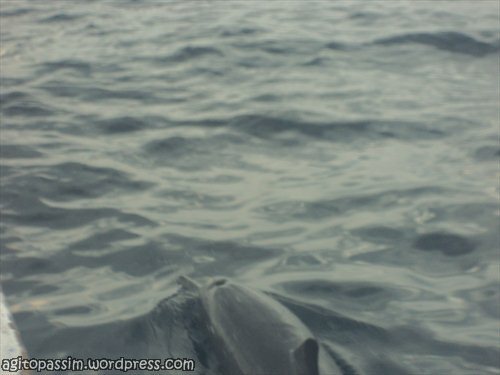 Good thing, there were already dolphins in the area when we arrived. 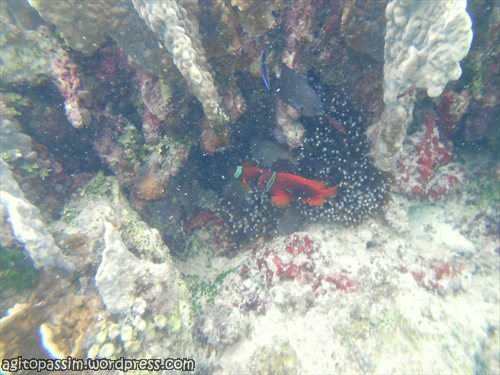 It was fun to see them in real-life and just a few arms away from you. 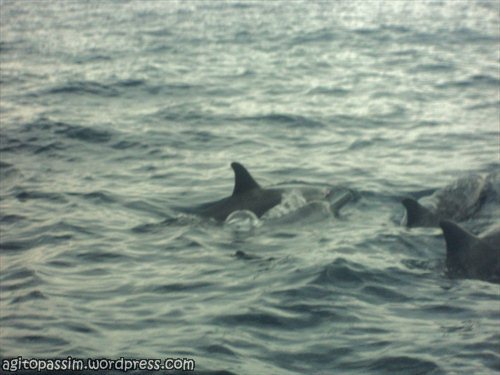 After we have been satisfied of seeing these dolphins, we started our Island hopping. 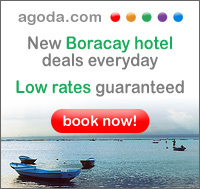 Actually there are just 2 islands – Balicasag and Virgin Islands. 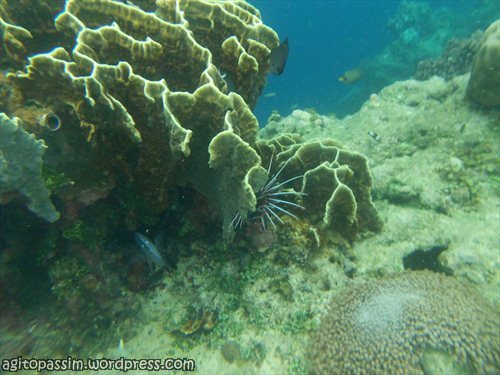 Balicasag is where you’ll have the snorkeling activity. You may also opt to have your lunch there but since we’re under budget, we decided to take our lunch at Dumaluan when we get back. 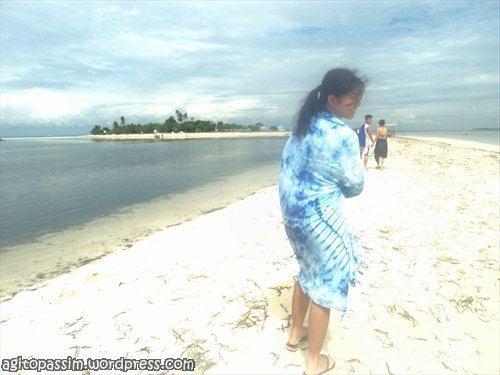 Virgin Island, on the other hand, just like the White Beach of Camiguin, is a long stretch of sandbar with fine white sand. 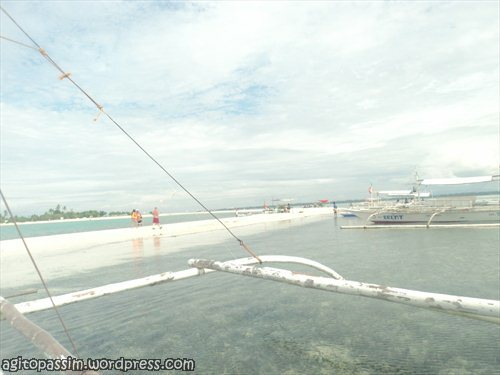 We went back to Dumaluan around lunch time both hungry and happy from the day’s activities.